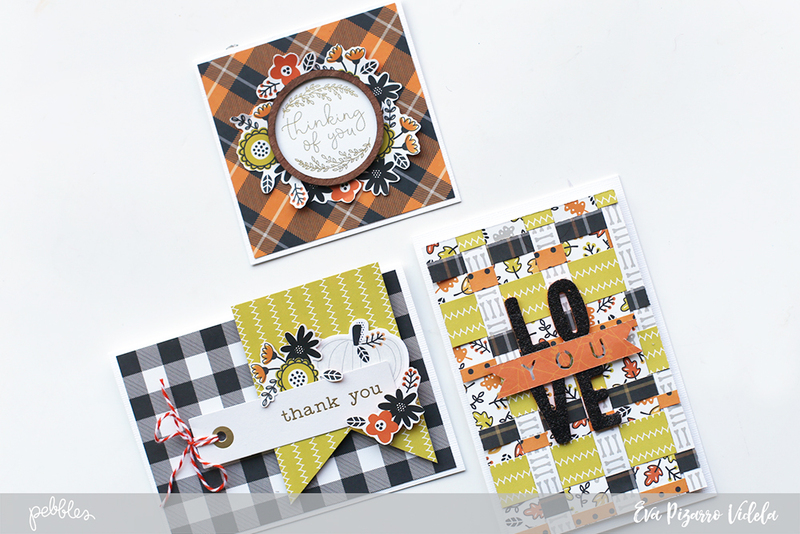 Fall Card Set Ft. Spooky Boo - Pebbles, Inc.
Hello Pebbles’ fans! 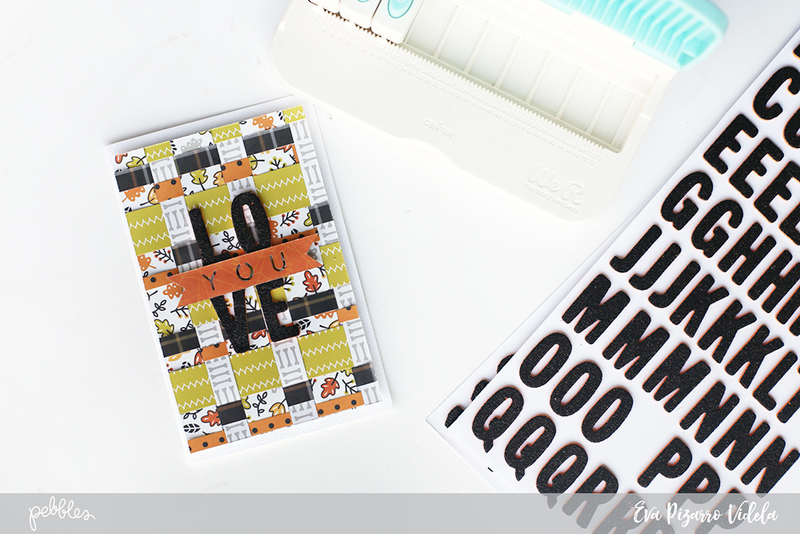 It’s Eva on the blog today bringing you a card set inspired by the plaid patterns on our new Halloween line: Spooky Boo! This new collection is a Halloween themed line but has a variety of designs that can be used for fall or everyday pages. 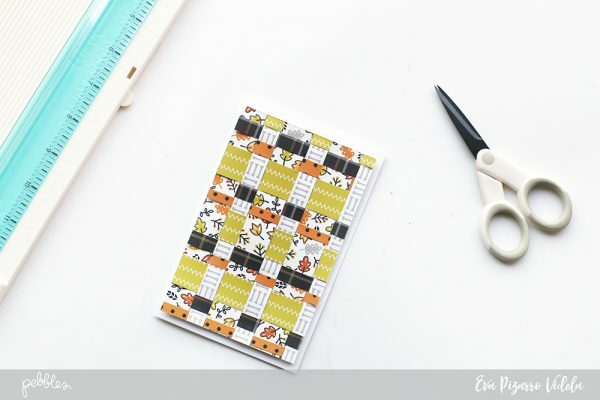 I got my inspiration by the plaid patterns on this line and decided to create a card set combining black, white, orange and green. 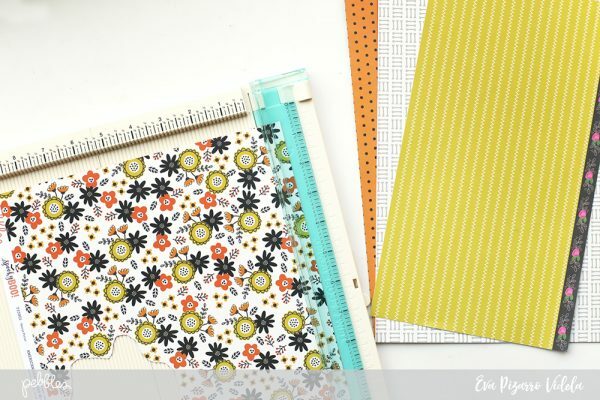 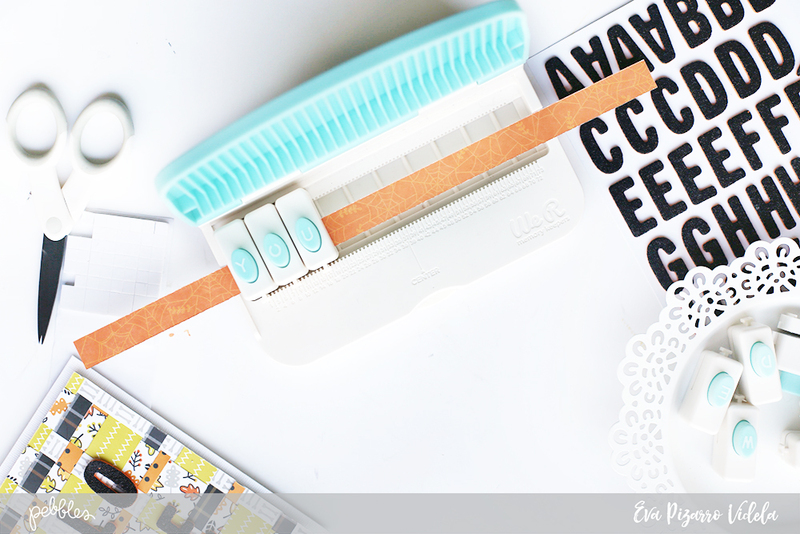 I started by trimming some papers and added a green one from the My Bright Life collection, that matched exactly the green on the Spooky Book line. I created my own plaid pattern by weaving the strips of paper. 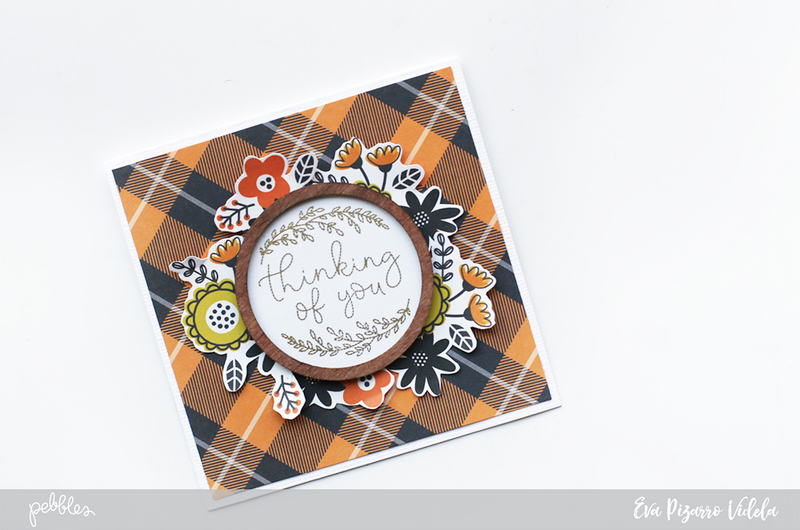 I cut the excess and placed my plaid background on top of a card using 3d foam dots. Next, I used some of the glittered thickers to add a sentiment and also added a word made with my Word Punch Board by We R Memory Keepers. Because the background was so busy I decided to keep the card really simple and I think it looks lovely! 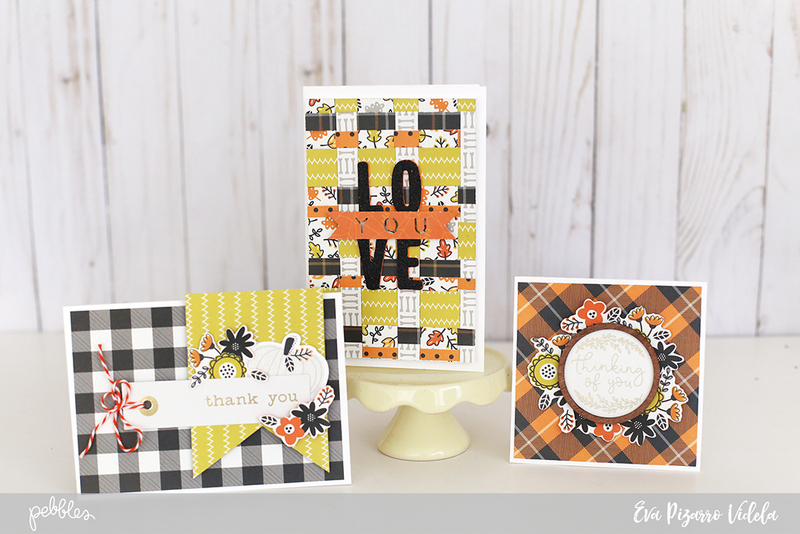 I also created two more cards using the plaid patterns of the Spook Boo collection. On this one, I cut some flowers from one of the patterned papers and used a sentiment from the My Bright Life in the middle. On this card, I also used a tag from the My Bright Life collection and some cut out flowers and pumpkins. 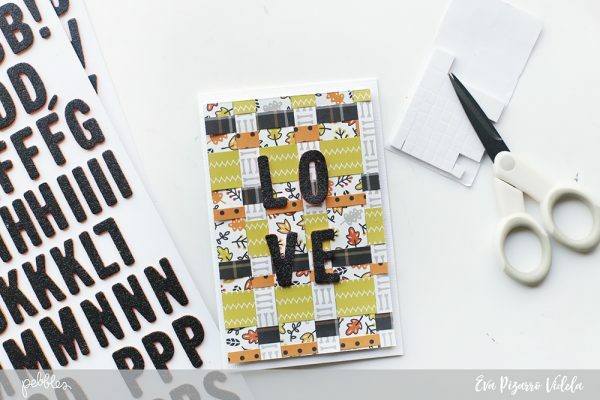 And here’s my set of cards! 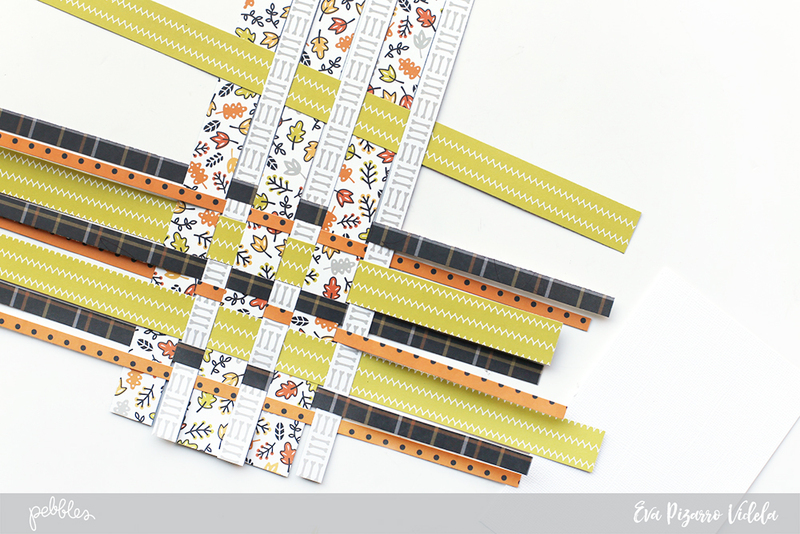 They were really simple and I think the plaid pattern is perfect for fall! 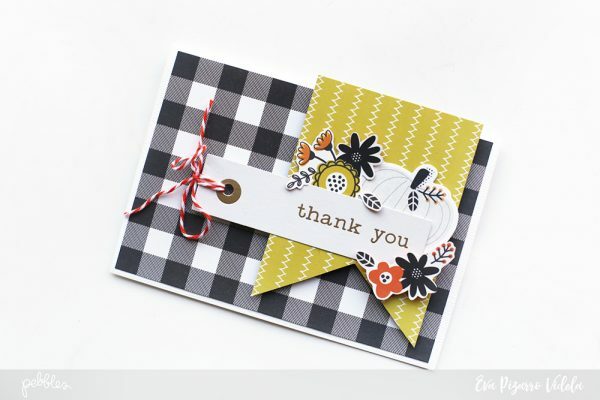 Thanks for joining me and have a great day!